The gospel according John. The very beginning of it. Majestic verses, elevated language. No one has ever seen God; the only God, who is at the Father’s side, he has made Him know… The word became flesh and dwelt among us… He gave us the right to become children of God. We are Christians, beloved children of God. Many of us have been Christians for our whole lives. May be you were born in Christian families. May be your parents were born in Christian families, and your grandparents, and so on. This is such a blessing. It means that you grew up being taught about God the Father and about Jesus and about the Holy Spirit. He became a foundational part of your life from the very beginning. But there is also something you may have miss out by being among Christians your whole life. That is, the joy of discovery that there is God, true God, who has revealed Himself to you, because He loves you, cares for you and wants you to enjoy His presence and His blessings. If we have been among Christians our whole live we may have not considered too often this question – how can we know about God at all? And if we could knew, what would it change? Let’s try to do it today. Let’s try to step out of what we know, with what we have grown up and let’s try to deal with this question – how can you know about God, and what does it change? First, what is God? What do people understand with this word? For one, He is the most incomprehensible being that exists. God is the one who is responsible for everything that is. He is the One who was before anything else was. What do we know today about the Universe in which we live? We know at least this much, – that the Universe is so vast, so complex, so incomprehensibly great that we need to use almost infinite numbers to describe it. 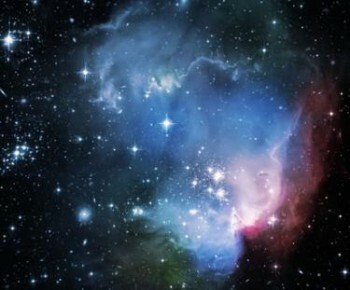 We can honestly admit that our minds are much too small to comprehend the vastness even of the known Universe. So what is God? God is the One who created all of this, who caused this Universe into existence and who holds it all together. … in this tiny Solar system, which is only one little system in our galaxy, with is only one galaxy among billions of galaxies like ours, how could we possibly know anything about God, who created all of this? Be realistic! What are odds that we could find anything about Him? There is no way we can learn about Him. We don’t know even who we are, how can we know anything about God? Unless, unless He reveals Himself. But, how could God reveal Himself? I have heard it in conversations with non-Christians that if only God would reveal Himself somehow, in a way they could perceive Him, they would change their minds. How could He reveal Himself? How could we know what kind of person He is and what His attitude towards us is? How do we know any person? How do you get to know other people? What do you do? You talk to them. Right? Yes, we get to know others through conversation. When we talk with them, we learn about other persons, we learn what kind of persons they are, what is important to them, and so on. Through conversation we also learn what other person’s attitude towards us is. It becomes clear when it is expressed in words. Words, conversation, this is how we get to know other person. If God wants to reveal Himself, then He should talk to us. Right? But then He also should talk to us in a way we can perceive Him. He should come to us as one of us so that we can converse, and we can learn about Him. And this is exactly what He did. The Creator of the Universe became one of us in Jesus Christ, so that He could talk to us and to reveal what His attitude towards us is. The Word became flesh and dwelt among us, and we have seen his glory, glory as of the only Son from the Father, full of grace and truth. But, we may wonder, how could we know that this particular man, Jesus Christ, who claimed to be God, the Son of God the Father, how could we know that He indeed was who He claimed to be? How could we verify it? How could He prove His identity? If you really are God, then you need to be able to show your divine powers. You should be able to show that you really are in control of everything. And by everything we mean everything, not simple some little things here and there. How about being in control of future? Foretelling what you are going to do in future and then fulfilling it. Would it show that you have divine powers? I think so. And this is exactly what God had been doing for a few millennia. He begun to foretell what, when, where and how He is going to do to reveal Himself. This is what the Old Testament is about. His promises about the future, that in one particular time and place He will show what His attitude is. Those to whom He had foretold where, when, what and how is going to happen, they didn’t recognize Him. His own people, people with whom He had been in conversion for centuries, didn’t receive Him. We can’t be too harsh. What they saw before them was a man. As one of us. No different. How could you believe that in Him the whole fullness of deity dwelled bodily? No one could see it. They saw … just a man. But then, how could Jesus prove that He was not just a man, that He was the Son of God? Again, He could show that He was in control over everything. And, yes, this is exactly what He did. This man Jesus showed that He was in control over everything. Over the laws of nature? Yes. When storm interrupted His sleep He simply said: “Silence!” And there was silence. Deceases? Yes. Anyone who was brought to Him got healed. Demons? Yes. Life? Yes. Before eyes on hundreds of eyewitnesses, He raised people from the dead, He gave them life. People? Yes. No one was able to do anything to Him unless Jesus Himself permitted. He chose to go to the cross. He did it. No one forced Him, no one could force Him. Only He had the power to lay his life down and to take it up again. For He has a life, the very source of life, in Himself. Death? No one could resist death. We can try to extend lives, but there is nothing that we can do about death. And, yes, even death didn’t have power over Him. He went to the cross, but then, exactly as He had foretold, and even His opponents had clearly heard it, on the third day He rouse again and appeared to several hundred of eyewitnesses. This man Jesus Christ had the power over everything. He foretold what was going to happen with Jerusalem. It happened. He foretold that He is coming back to judge the living and the dead, and He will. There is no doubt about it. People didn’t and doesn’t believe Him not because His revelation was not clear and obvious enough. We didn’t believe for we couldn’t, we couldn’t possible believe that God would do this. That someone could love us so much. All of us. Each of us. Each of you. To be so patient with us. If there is something wrong in this world, it seems to be the best solution just to go and put things straight by force. And if you are God, then you need to have enough power to put all things straight. This is what people expected from Him. To defeat their enemies. To put things straight. To destroy evildoers. The problem was.. and is.. that the most corrupted part of this wonderful world is – our hearts. Yes, our hearts. My heart and yours. Without exception. Our hearts are the source of all evil. We know it is true. Everyone knows that all of this comes from inside, and we can’t stop it. We can stop our words and actions, but not thought, desires and emotions that keep coming from our hearts. Let’s get rid of this corrupted, selfish, rebellious, unforgiving and ungrateful generation! Let’s start this new year with new creatures, free from sin! How tempting would it be to us, if we were in charge of this world and would see hearts of all people? This is not how true God operates. He is different. He is Holy. He is loving. He is all powerful when needed, no doubt about it. We’ll see and experience His power when He returns in His glory. He came to make you His children, not by power and control, but by self sacrificial love. By love that overcomes all evil. He came to show you such a love which would transform you and make you to fall in love with Him. He did it for you. For each of you. To show, to demonstrate, to reveal how important you are in His eye, and how much He is ready to do for you. This is why people didn’t and don’t believe Him. How could this be? It can’t be true. But it is. ‘You are my God, you are my Father, you are my live, my peace, my future. In you I have everything I could only dream about. I’m yours.’ The good news is, the Gospel of Christ is – yes, all of this is true. This is what true God is like.